After a 15-year hiatus from restaurant kitchens, celebrity chef Rocco DiSpirito is cooking up a comeback as executive chef at The Standard Grill. Why did you decide to return to the heat of a restaurant kitchen? And why The Standard Grill? ROCCO DISPIRITO: I’ve been approached for years about restaurants and really wasn’t looking for one when this opportunity came about. For over a decade, I’ve been dedicated to proving that healthy and delicious are not mutually exclusive through my projects which have always anchored me in a kitchen. From my books to my organic meal delivery service, my style of cooking has focused on celebrating plant-forward, local, organic and sustainable ingredients. 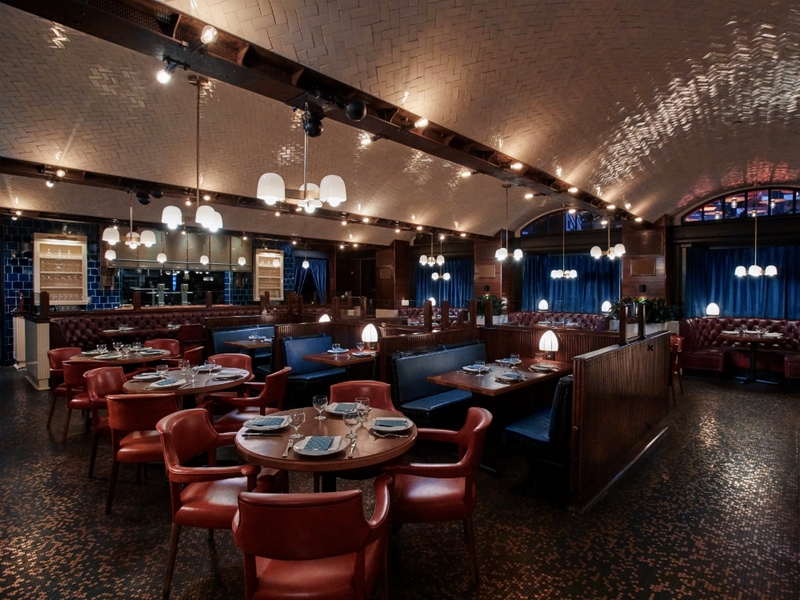 So on the heels of The Standard Grill’s 10-year-anniversary in the Meatpacking District, they were looking to make a culinary change and elevate the iconic dining experience. They really embraced my mostly plant-based style and at the same time, I felt I had something new, different, fresh, and exciting to say. From there, the collaboration came together naturally. Tell us what's different about how you reimagined The Standard Grill? 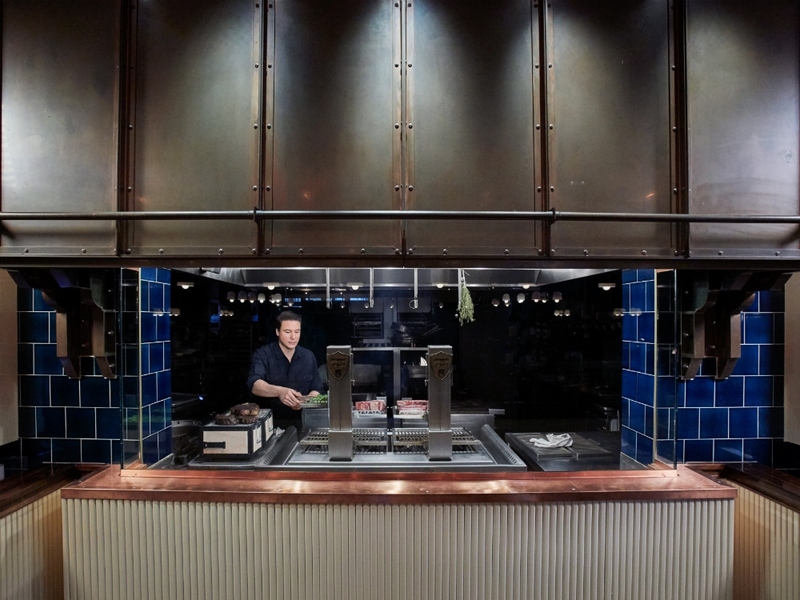 RD: It’s a modern grill that offers healthful and indulgent options from the expanded raw bar and new Binchotan-fired Josper grill from Spain. We’re focused on sustainable, fresh, organic, highly seasonal, gluten-free, and local ingredients from purveyors I’ve worked with for years. The majority of the dishes are dairy-free and plants are often the star of the meals. Guests will find beautiful, playful presentations with an emphasis on high-quality ingredients. We’ve also redesigned the kitchen, interior, tabletop, and visual identity inspired by the intimacy of the dining cars on the Orient Express. I imagine your signature raw scallops are back on the menu, no? RD: They are! The Peconic Bay scallops and uni with tomato water and mustard oil. This was my first signature dish at Union Pacific. I’ve also brought back my signature crudos and black truffle risotto. What's the best thing you've eaten in the past year? RD: The roasted chicken at Frenchette, the halibut at Empellon Al Pastor, the yakitori at Torishin. When you have downtime, where can we find you? RD:I don't have too much downtime but when I'm lucky to have it, I like to sit in cozy cafes, sip espresso, and pretend I’m in Rome. RD: I recently rebranded my plant-based, all-natural product line. You can find simple, honest, healthy and delicious meals, snacks and cooking ingredients including high-protein chocolate bars, shakes, protein powders, flour and more. The products are high in protein and fiber while being low in calories, fat, carbs, and use only natural, vegan, and organic ingredients throughout.